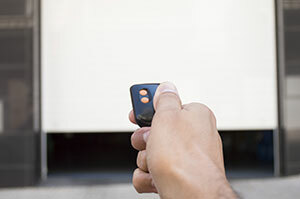 It is a fact that more and more people in California prefer the electric garage door openers since they allow easy access to the garage and they embody many features that increase home security. Of course, the next most important step is the thorough garage door service that includes many phases of treatment starting from the proper cleaning to the inspection and repair of all garage door parts. You can also consult any garage door company in Rosemead for further tips. Metal garage doors run the risk of rust and wooden ones are sensitive to moisture. When you clean regularly your door, you can spot in time some early signs of decay or mold and keep it from spreading. Regardless of the material, you can use plain water and soap to clean your door using a soft sponge. If you cannot handle mold removal, you should call the professional experts of a nearby company immediately. Consult the manufacturer’s manual for lubrication maintenance. You need to be very careful with the lubrication of the garage door springs because they can hurt you if they snap, but they need to be oiled properly since they do the heaviest work. Equally important is the lubrication of the garage door tracks, so that the rollers can move smoothly. When you clean the door, you can check whether any garage door hinge is out of place and tighten the screws with a screwdriver. It’s very important to follow the instructions experts give for the garage door maintenance to the letter in order to be sure that you will do the job safely and properly.